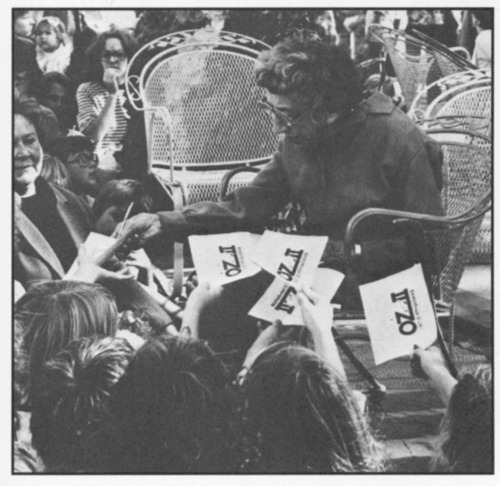 This is a photograph of Margaret Hamilton, Wizard of Oz star, taken at Oz II during the International Year of the Child in Topeka, Kansas. She is known for her portrayal of Kansas curmudgeon Miss Almira Gulch and the Wicked Witch of the West in Metro-Goldwyn-Mayer's 1939 film The Wizard of Oz. The photograph appears in Kansas First Families at Home, edited by Nel Lindner Richmond.